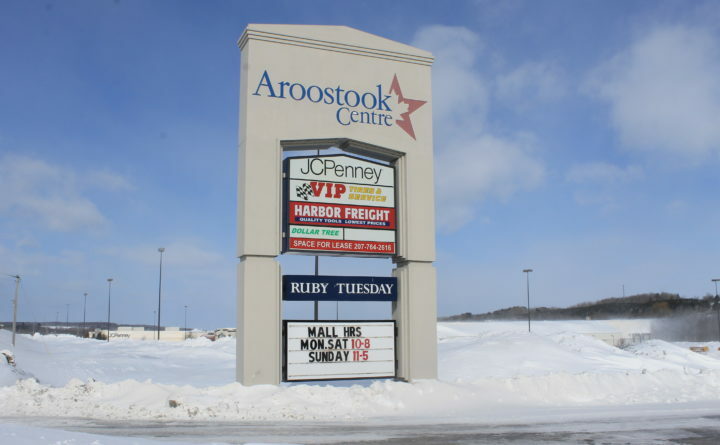 The Aroostook Centre Mall in Presque Isle was sold to an undisclosed buyer, its management confirmed Sunday. “Yes, I can confirm that the Aroostook Centre Mall has been sold,” Frederick Meno, the mall’s manager, wrote in an email to the Bangor Daily News. Meno also is president and CEO of the Woodmont Company, the Texas-based firm that is running the mall. He provided no additional details. The website Ten-X also posted over the weekend that escrow had closed on the mall, meaning it has been sold. Ten-X said the closing was on March 8 and the price was $4.65 million. Ten-X is an online auction and commercial real estate seller based in Irvine, California. The mall, which was listed for sale on the Ten-X website in mid-December, was for sale at a best-offer price. In late February a Ten-X manager said there was strong interest in the mall. The Aroostook mall was up for auction in October 2017 but received no interested buyers, so the property’s mortgage holder, Wells Fargo, bought it for less than one-third of its assessed value at the time. The mall ran into trouble when its owner defaulted on a loan in 2017.